Catnip spray is the ultimate training tool! 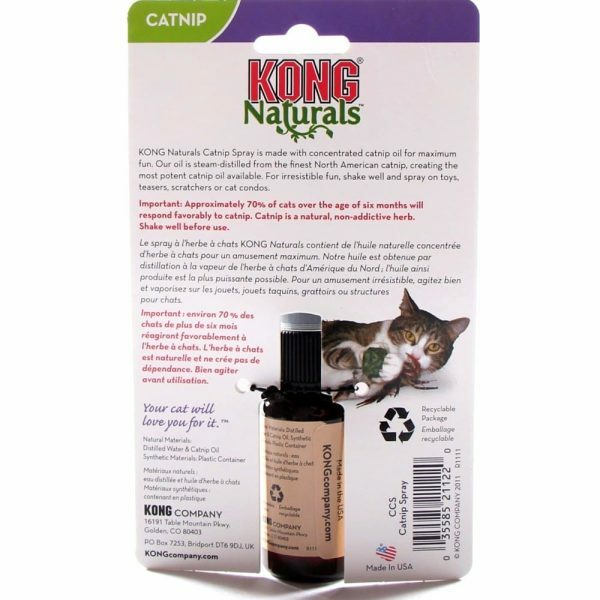 Spray a little on kitty’s scratcher to give them an instant, playful high and get those claws working in the right places. 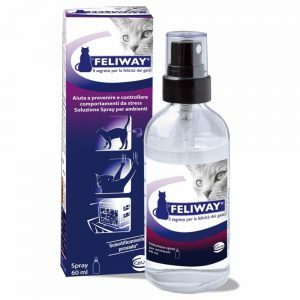 The spray is designed to appeal to the natural instincts of your indoor feline, providing fun with a purpose. Kong brand is the most potent catnip spray available, and all ingredients and oils come from natural, renewable resources. 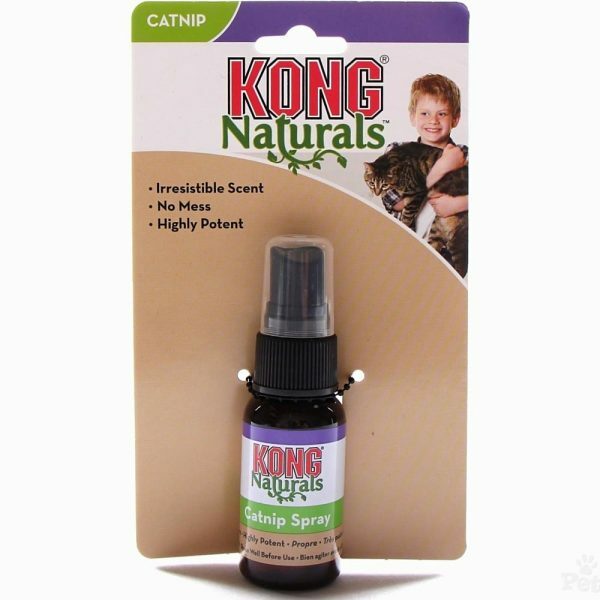 Catnip spray comes in a 30ml spray bottle.